SARKAR -THE PSYCHIC VISION - Fortune Telling :: sidetaker. I have an inborn instinct to extend my hands out to help others in utter disregard of everything personal. In this services I do take the help of Astrology / Stars /Spirits / visions and successful with clear and positive outcome. Till date researched and analyzed more than 7000 horoscopes within my vicinity and responsible for many successful marriages, job inceptions, ,studies, business, medical emergencies and daily life activities by the Grace of ALMIGHTY and NATURAL STIMULATION. Psychic stimulation is inborn. Detailed study of Reiki and its effects in our daily life. Numerology expert. Magical experience in tarot reading. Detailed study on Planet transits, Natal Charts. Colors and its positive and negetive effects on our daily life. My readings are fast and in-depth. I shall give you Transparent Answers to all your questions without wasting your time. Till date I am confident with this natural skill within my vicinity with plenty of witnesses including me and now would like to explore the world of spiritualism by the grace of NATURE and ALMIGHTY Till date analyzed more than 10000 charts. Psychic stimulation is inborn. 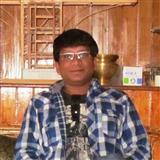 Expert in Astrology, Psychic Reading, Numerology, Palm Reading, tarot reading etc. numerology, tarot and as a psychic healer. Winner of " Seal of Excellence" award from Bongio Rig Parishad. Truth is my instinct and client satisfaction is my passion. DONT LIKE SUGAR COATING.